Complete, organic, plant-based and ready to blend. Watch these beauties transform into thick, rich, luscious smoothies or smoothie bowls in just 20 seconds. Squash those intense chocolate cravings with a ready-to-blend meal that you won't believe isn't a cheat day! 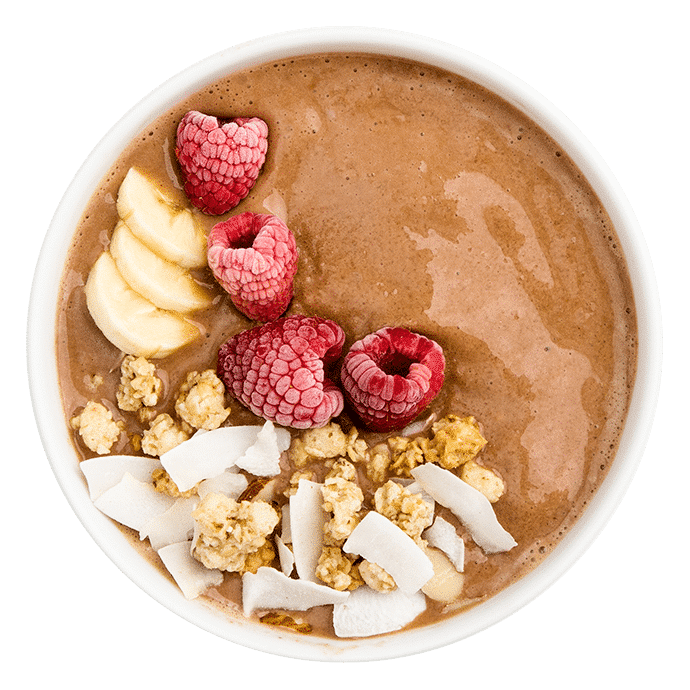 Live Pure Peanut Butter, strawberries, cacao, cinnamon, bananas and live probiotics help turbo charge energy levels, and increase strength and stamina while reducing stress. It's so good you'll feel like you're getting away with something. Dominate your day without the guilt! This is the one that started it all! Sweet, savory and decadent meet in what we call the "Game Changer." Our classic ready-to-blend smoothie is described as an addictive peanut butter milkshake that will change the way we think about healthy. 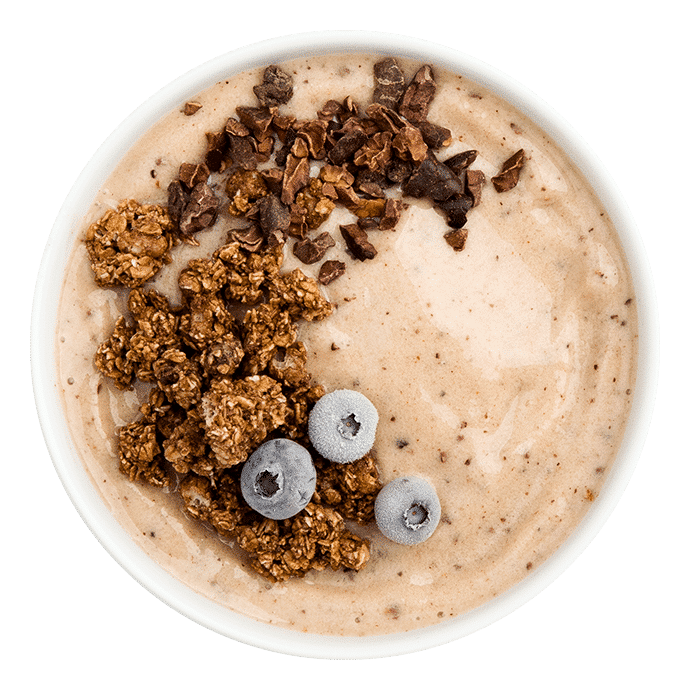 This creation is packed with fiber and probiotics to boost digestion, greens for sustainable energy and cinnamon for heart health. The GC is packed with potassium making it great for muscle recovery after a workout. This may be the only time your kids will beg for more spinach! Detoxify your body, don’t deprive it! 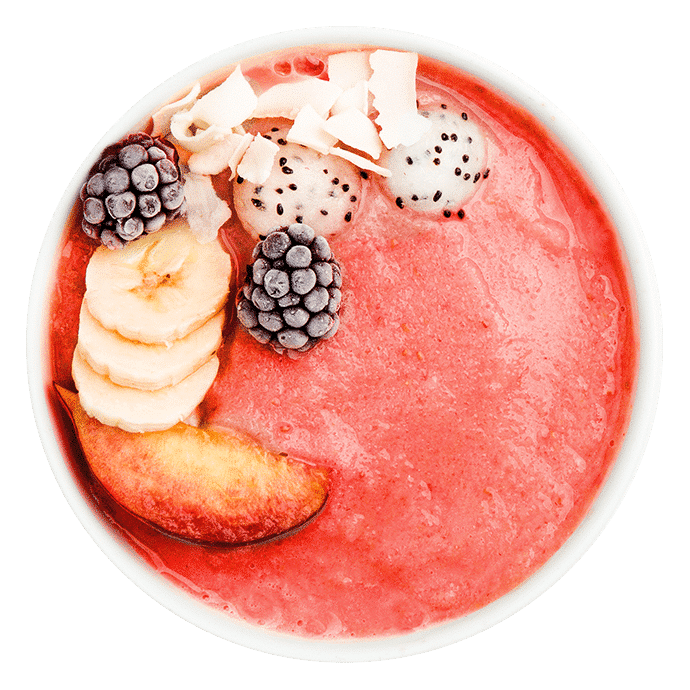 Forget those bland and restrictive detoxes and sip a blend of summer-fresh peaches, raspberries, bananas, and apples, while benefitting from soothing, tummy-friendly coconut and ginger. Natural anti-inflammatory and antioxidant ingredients aid in healthy weight loss, radiant skin and strong hair and nails. Cinnamon, cacao, bananas, and cashew butter meet in this creamy, ready-to-blend, fiber and protein mix to taste like fresh-baked churros with chocolate shavings! It squashes those sugar cravings without cheating, while boosting stamina and muscle recovery. Plus, superfood antioxidants heal inflammation so you can keep doing the things you love. These vibrant, ready-to-blend purple cubes will blow your mind. 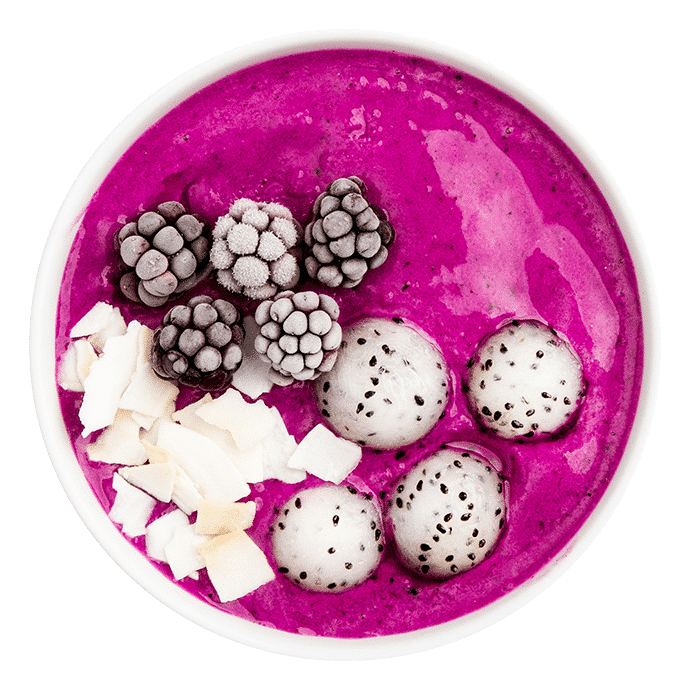 Featuring low-sugar, high-protein, high-antioxidant dragon fruit and white mulberries to give you everything your body needs to fight digestive discomfort and inflammation, plus a power shot of probiotics to aid in natural digestion. When you look and feel your best, anything is possible! Our famous, ready-to-blend mint cookie creation is a delicious way to stay energized all day! Rich and creamy with bits of cacao and cool mint, think Girl Scout cookies without all the bad stuff. 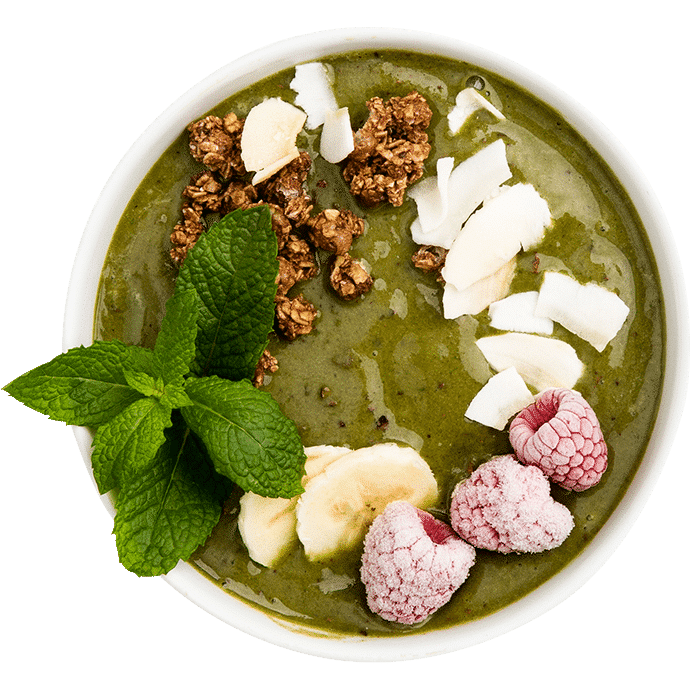 It’s packed with serious nutrients and whole foods like cashews for healthy fats, bananas to amp up your potassium, plus our fave green powerhouse--spinach!--to burn fat naturally, turbo charge your energy levels and keep you focused and happy all day. 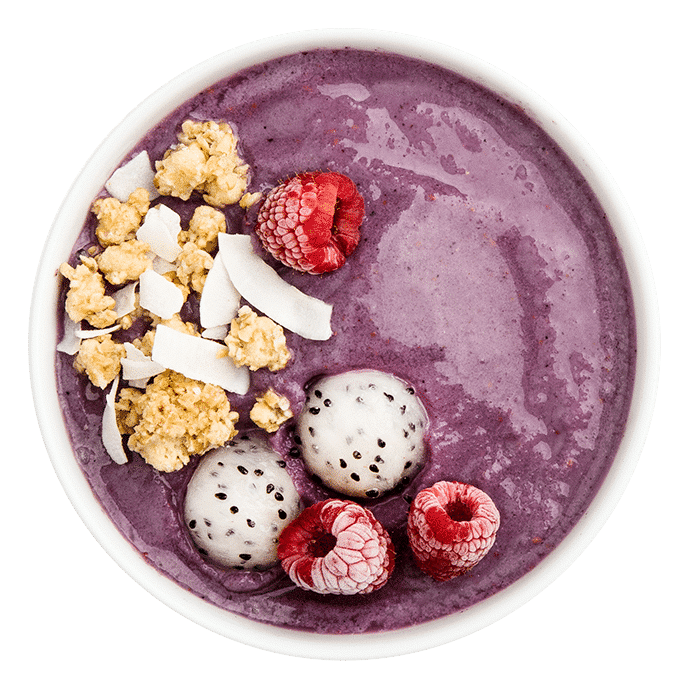 Imagine the warm sands and crashing surf of Rio de Janeiro while you sip a ready-to-blend mix of berries, lucuma, acai and maqui. These tropical superfruits are naturally sweet and pack vital nutrients to boost brain health and weight loss, healthy skin, hair and nails, slow signs of aging, and give you the mental mojo to tackle those waves. 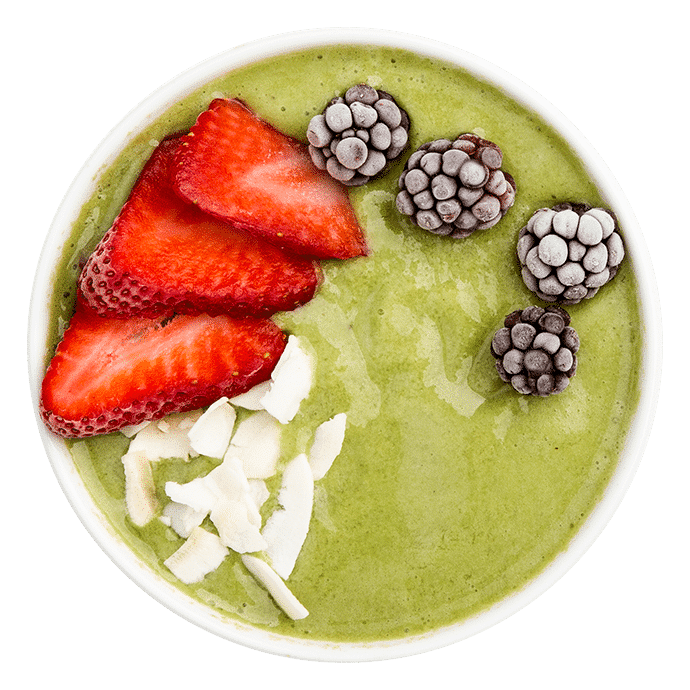 A perfect finish to our smoothie bowls or anything that needs an extra punch of fiber, heart-healthy fats and protein! Crunchy clusters of whole oats, almonds and superfoods quinoa crisps and coconut add texture and crunch, while spices like cardamom, fennel, fenugreek and nutmeg soothe your digestion. Put this granola on everything! Certified organic and kosher.